In the second to last Sunday of the regular season, Fox will have regional action. Their five-game slate features Vikings-Dolphins, Packers-Buccaneers, Lions-Bears, Falcons-Saints and Giants-Rams. Continue reading for announcing assignments and distribution splits for the NFL on Fox this week. Well I think you could have put all of that into one comment but anyways, yes Pitts was an analyst for a number of years (and a solid one at that) before first becoming a sideline reporter and then a play-by-play guy. 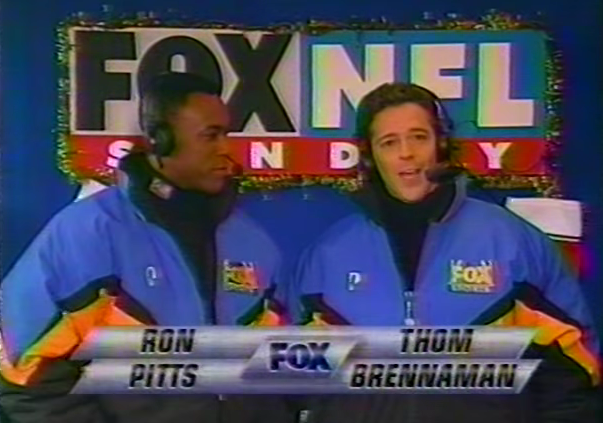 Ben - will Thom Brennaman be back for the Rams game? Or will Kutcher still be in this place? I'm expecting Brennaman to be back this Sunday but I haven't seen anything indicating an answer in either direction. What happened to Thom Brennaman? I knew there was an announcer this past week who's voice I did not recognize. He had a voice issue and took last weekend off.